This Toaks ultralight cooking system would be hard to beat: US$58. 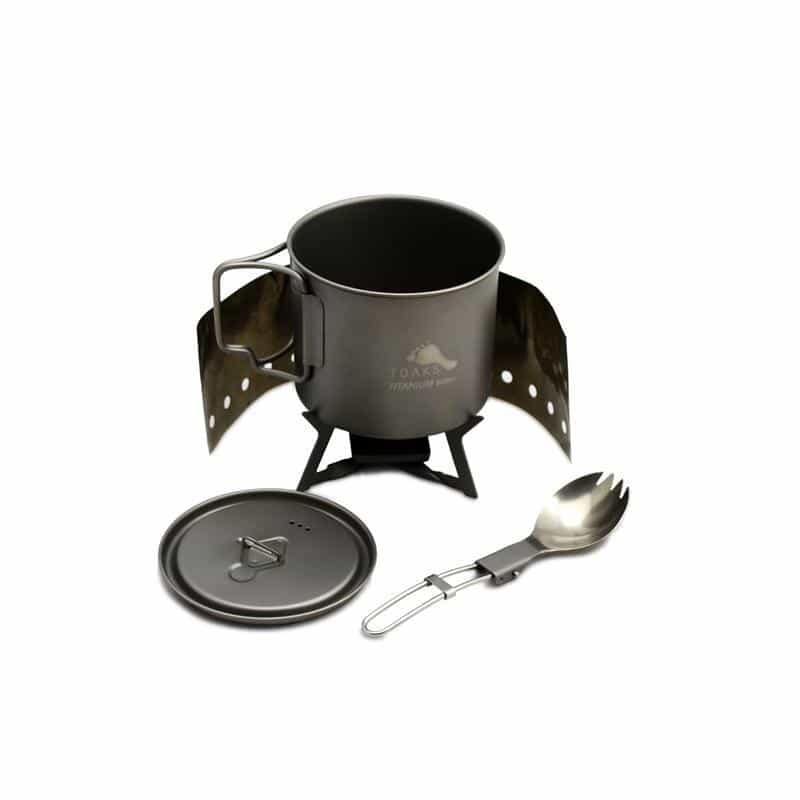 Weight: Total: 4.4 oz (122g) Includes: Pot with lid: 550 ml; 3.0oz (85g) Dimensions: Pot: 3 1/2″ (95mm) (external lower part) (D) x 3 1/8″ (80mm) (H); Solid alcohol folding stove: 0.5oz (13g); Folding spork: 0.7oz (18g); Windscreen: 16″ x 2 7/8″ (405mm x 72mm); 0.2oz (6g). The system comes with a mesh storage sack: http://toaksoutdoor.com/titaniumcs01.aspx Add one of http://snowpeak.com/products/hotlips-2-piece-set-mgh-001?variant=671143453 4 grams. Total 126 grams. Just great for daytrips or overnighters.